Comments: B&W RL image of interlocking norsethite (light-grey, stained) and calcite (dark-grey, etched). 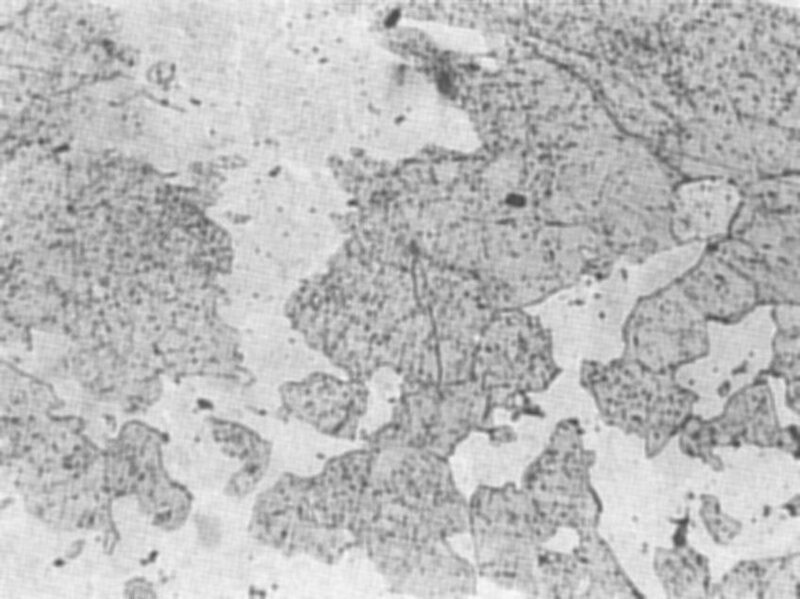 Etched with sodium rhodizonate solution. (AmMin, v52:1770). Location: Discoveredz inc-lead-coppedr eposita t Rosh Pinah, situated about 100 miles south-east of Aus in South West Africa.